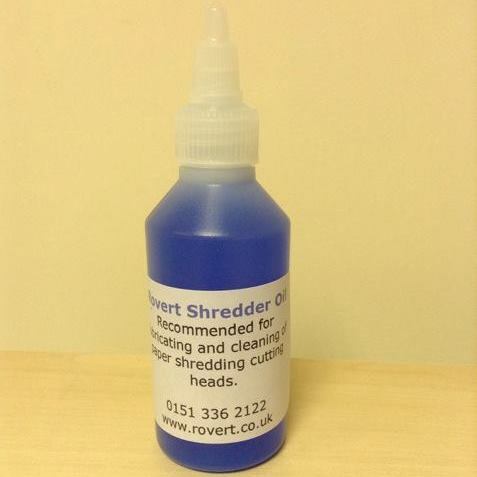 Shredder Oil (250ml) - Essential for maintaining your shredder. Rovert. We advise that shredders should be oiled regularly to ensure that they are being maintained and stay in a good working order. 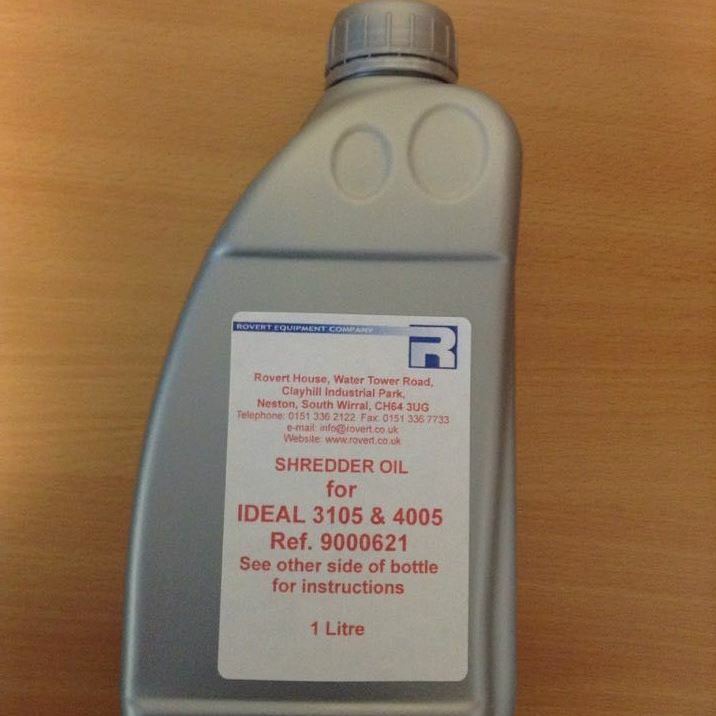 This is a medium size bottle of shredder oil (250ml) and is easy to use in the bottle as it is precise to pour. We sell other consumables for shredders, including shredder bags (see “Consumables” – “Shredder Consumables” – “Shredder Bags”) and also shredder parts/repairs. Why Not Just Use Any Oil? This shredder oil has been designed especially to deal with the small particles of paper and reside from paper that can remain on the cutting heads in the shredder. Other oils may cause the paper to clump together and make the issue worse rather than making the machine run better. How Do I Use My Shredder Oil? Pour a small amount of shredder oil out onto the cutting heads by just running it along the slot from one side to the other that the paper would go in. Then without putting any paper in first, run the machine so the oil moves round the cutting heads and then run it in reverse also. Then you are ready to keep on shredding! Helpful Hint! : Some shredders are designed so you can not get near the gap where the paper goes in and therefore can’t oil your shredder. It’s not an ideal solution however if you pour a small amount of oil onto a piece of paper (a line along the length of the paper) and then put that in the shredder then some of the oil will get onto the cutting head.